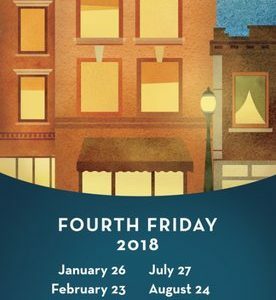 The Arts Council of Wilmington & NHC is pleased to coordinate the monthly Fourth Friday Gallery Walk. The self-guided tours are held from 6:00-9:00 p.m. on the fourth Friday of each month. We hope to build on the coordinated marketing effort which has made downtown Wilmington a popular destination for art lovers. PARK FREE FIRST HOUR IN CITY DECKS!